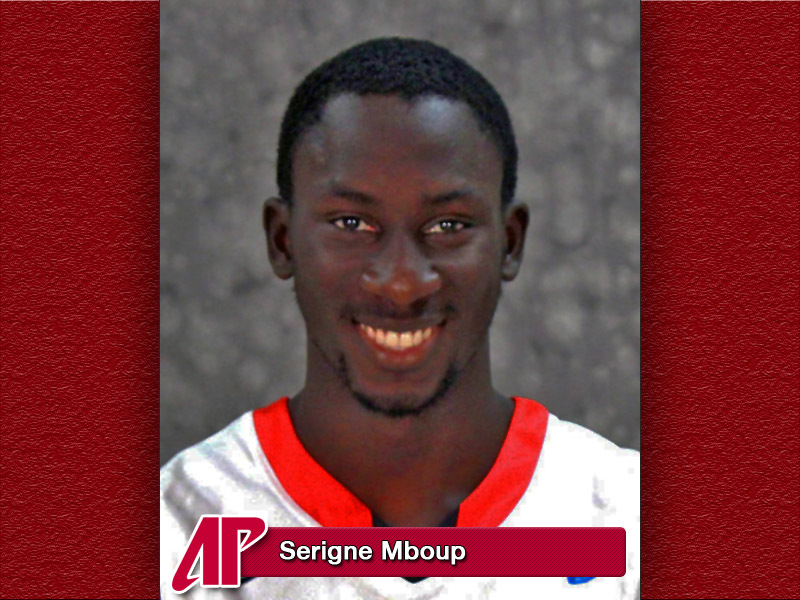 Appearing in eight of the first 10 games, Mboup was only averaging 1.8 points and 1.1 rebounds per game, while averaging only 5.9 minutes per appearance. “At the beginning (of the season) I wasn’t playing a lot,” Mboup said. “But every time I got a chance to prove myself I just did what I can do best and that’s bringing energy and going hard and do whatever I could to bring something to the table. Be one of the pieces. But after not playing in the Liberty University game, the lanky 6-foot-7 former soccer player arguably had his best game of the season — up to that point — versus Vanderbilt University in recording six rebounds, scoring two points, while recording an assist and a blocked shot. “I think Serigne has shown improvement over the last two or three weeks and he’s playing hard and that the big thing,” Austin Peay coach Dave Loos said. “We keep telling him it starts with effort and he’s putting out a real good effort out there. And the number keep getting better since the Vanderbilt game, as Mboop is averaging six points and 5.3 rebounds over his last three games – including scoring 10 points in the Govs last contest at East Tennessee State University. “I think the East Tennessee game he played particurly well,” Loos said. “He was active inside and also made some good passes. Good high low passes. The resent success has led him to move up the Governors depth chart. But along with the growing confidence, Mboop gives a lot of credit to the coaching staff for standing behind him. “The coaches give me a lot of confidence and they’ve really helped me out and showed me that if I work hard I would be able to get more minutes,” he said. “That’s what they tell everybody ‘work hard and do what we need you to do’ if you’re going to be good. Mboop and the Govs return home to play Dalton State at the Dunn Center on December 30th at 7:00pm, while OVC play begins January 2nd in a home game versus Tennessee Martin.